Our entry level Crimp Force Monitor is a standalone model providing you with complete quality control of every crimp produced. The new G3 Crimp Force Monitor provides a very stable and reliable force monitoring system that can be used on all production presses. The CFA will alert operators to a suspected bad crimp by an audible alert and by stopping and blocking the press, thus reducing scrap. The Ram Encoder eliminates false fails due to mains fluctuations affecting press speed. This filters out all press motor speed changes whist still allowing accurate signature analysis to take place. The 32-bit processor at the heart of the evaluation unit allows automatic zone setting for optimum sensitivity. Easy to learn, multilingual, menu driven interface reduces training costs. Clear display shows current information including stored job set-ups and force curve. Our in-line sensor enables accurate readings of each crimp produced. Installing the Force Sensor in the Ram of the press reduces false fails in production and achieves a reduction in waste. 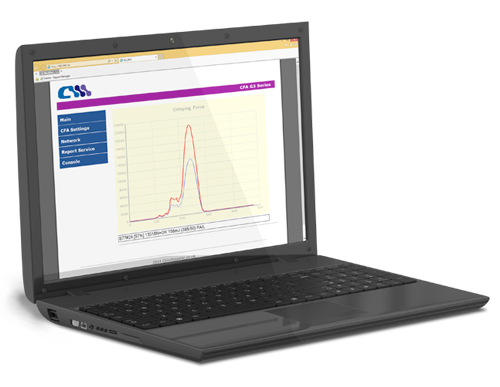 Every G3 Crimp Force Monitor has its own web server which allows users to view the production and system information of any CFA via a web enabled device, whether that may be a tablet, mobile phone or desktop. 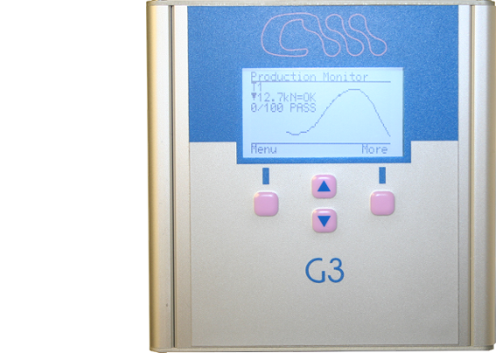 The next generation of Crimp Force Monitor, the G3, incorporates many ground breaking features to meet the increasing quality control demands of the modern production factory. Circuitmaster first introduced the Crimp Force Analyser to the market in 1992. The implementation of force analysis in the production of wire harnesses is now commonplace. At the heart of the system is the CFA unit. This has been developed and continuously improved over the last 20+ years by Circuitmaster and our products can be found in most manufacturing plants around the world. Developed using our 20 years knowledge of Crimp Force Analysis, the new G3 Crimp Force Monitor offers unprecedented levels of process control providing harness manufacturers with fewer false fails. The G3 remains competitively priced within the market. The web page interface details the results and force curve in more detail. The G3 has many new features, but remains easy to use. 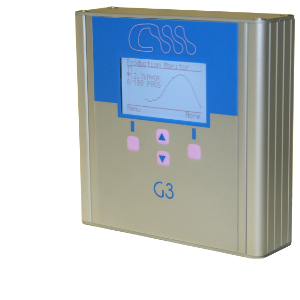 Why not have a look at the new G3+ systems, which takes crimp force analysis to a new level of control, including data collection, applicator maintenance control, material handling and much more….